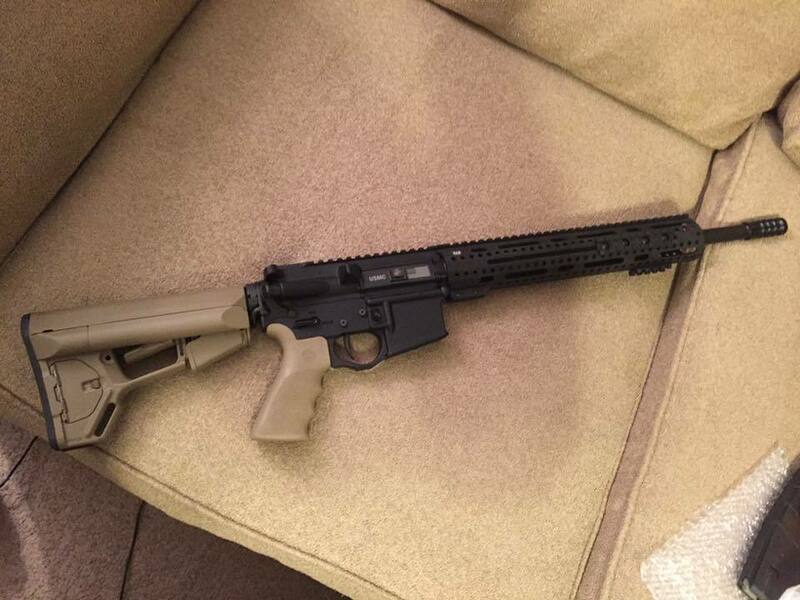 I’ve got a FDE Magpul ACS stock and like it but I’m wondering if I might like a more lightweight and convenient option for my 16" build. 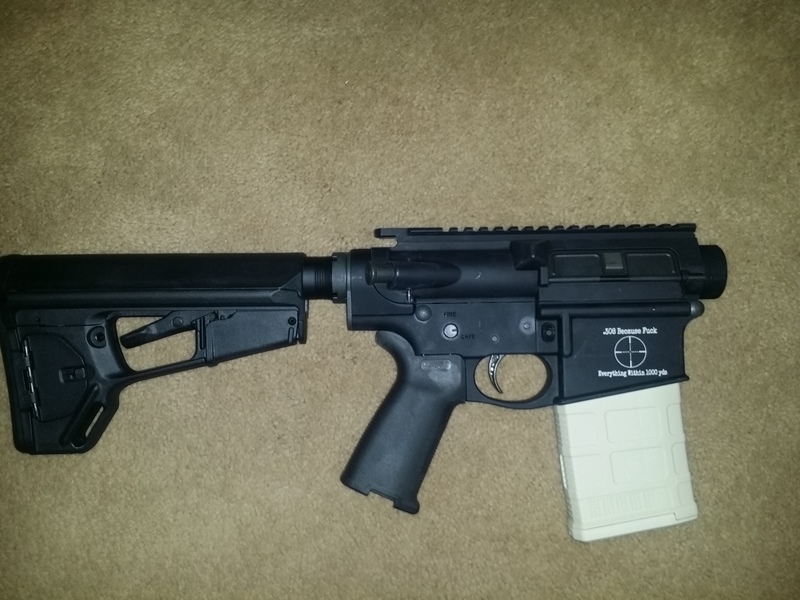 The rifle in question is the one that is posted as my profile pic. 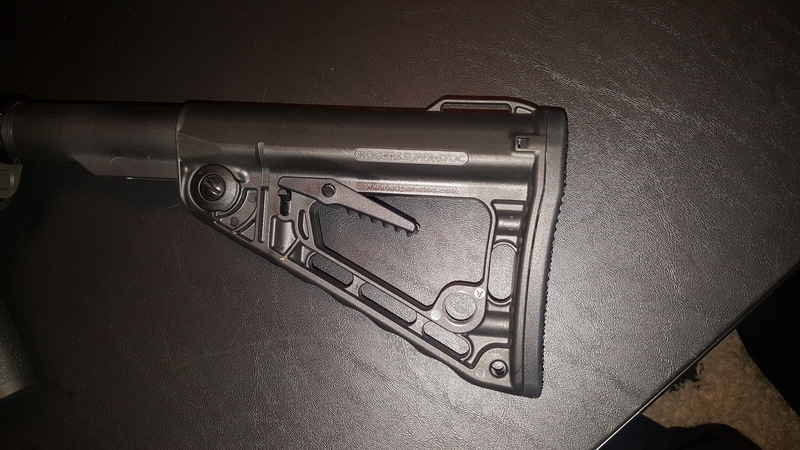 The lightest Magpul is their non-adjustable carbine stock. But you might feel kind of restricted with that one. I love my Rogers Super-Stoc! Extremely lightweight, durable and no play at all. Picked up an FDE one for $27 and a black one for $44. I’m thinking I may want to trade it out for a Hogue overmolded stock. I like the looks of it, its lighter and I think the cheek well may be more comfortable. I plan on buying one in fde! I have used MFT minimalist stocks on 2 builds so far, light, works great, no wobble. Doesn’t have a great cheek well however. I wanted an ACS, but didn’t really want the weight. I liked them enough that I bought 2 more for the next 2 builds. I’m waiting for tacticalshit to get more of these Hogue FDE stocks in so I can order one from them. I will be looking to sell the ACS though. I’ve had 2 acs-l stocks now. 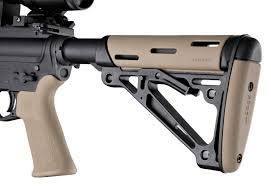 Personally for me they’re my favorite stock by magpul. Everyone is different so there’s really no right or wrong as long as there’s no quality issues. I like the way it feels on my cheek especially with a optic. Easy for me to pull up and have a instant solid cheek weld.